Have you filed your 2016 tax return in Canada? If not, it’s not too late to file. While the official deadline from CRA (Canada Revenue Agency) was 1st May 2017, if you are due a tax refund there are no penalties for filing late. Not sure if you are due a refund? Email us your T4 and we can provide a free tax quote with no obligation to file. What if I don’t have my T4? If you don’t have your T4 then worry not, as we can still file your return. This will mean, however, that we won’t be able to provide an exact estimate of what your return will be. How do I know if I’m due a tax refund for 2016, or another year? If you are unsure if you are due a tax refund or not, why not take advantage of our free Canadian tax quote service that we offer. Simply send us an email with your T4 (summary of earnings) from each of your job positions and let us do the rest. Additionally, you can can also file a tax return for any other year that you have worked in Canada. Even if this is only for a short period, you are likely due a refund for that year. How much will filing my tax return cost? Once we provide you with your free tax quote for 2016, it is then your decision if you wish to file with us. If you do, we charge a flat $40 fee for filing, though there is no obligation at any stage if you don’t wish to continue. I’ve left the country, can I still file? If you have left Canada and still need to file your Canadian taxes, you can certainly still file. Even without a Canadian bank account or address to use, we can organize a cheque to be sent to your address overseas. If you have any unaswered questions then don’t hestitate to get in contact with us. We don’t bite, promise. ← When is the deadline for filing a 2016 self-employed tax return? 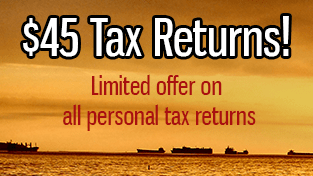 JacksTaxBack.com provide quick and easy Canadian tax returns for the cheapest price around. Consultation and tax return quotes are completely free of charge, so get in touch today. Tax doesn't have to be taxing.